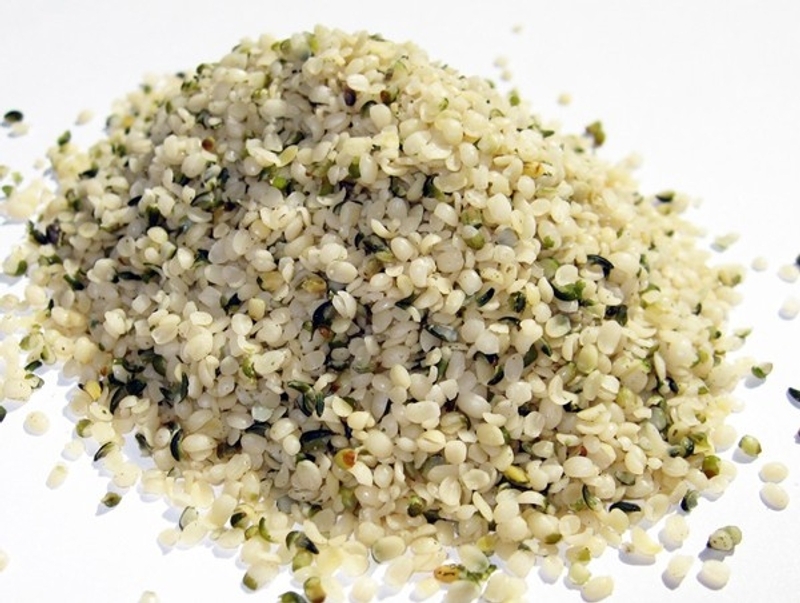 Hemp foods are made from hemp seeds and are incredibly nutritious. They offer a wide variety of important health attributes. They boosts the immune system, provides fiber to care for the digestive tract, are a great source of protein, and contain healthy omega-3 fats. Regular intake of hemp foods can help to improve overall health and may even stave off some diseases. 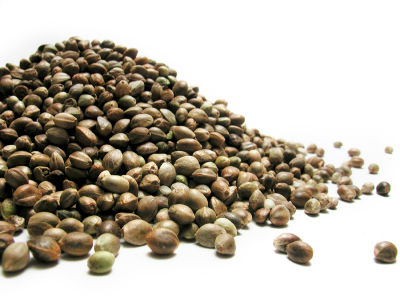 The majority of all hemp foods are made from Canadian grown and processed hemp seeds. Many people think of Hemp is Marijuana – not realising that – as Broccoli and Cauliflower are from the same family, but not the same plant – so Hemp and Marijuana are from the same family, but is not the same plant. Hemp does not have the same chemical make-up as Marijuana (it does contains some of the same cannabinoids – but, it’s THC content is normally lower than 0.03% as opposed to Marijuana that can be as high as 29%). Whole hemp seeds are really versatile. They can be added to almost any recipe to increase fiber, protein and/or healthy oil intake. Shelled hemp seeds, also called hemp hearts or hulled hemp seeds have a taste similar to pine nuts and can be eaten in a similar way. Hemp Seed Oil is best to use as a finishing oil such as salad dressing or drizzled over your veggies just before eating. Hemp protein is among the most nutritious and can help the body cleanse the intestinal tract. It can be used just like whey or soy protein without the nasty side effects (some people experience the side effects of lactose intolerance with Whey proteins – and soy contains chemicals that actually inhibit the human body from absorbing the protein it contains – so it has to be processed before the proteins are available – this is not the case with Hemp). Hemp Milk is similar to almond or soy milk and can be substituted for dairy milk in recipes. Hemp Butter is similar to Almond and/or Peanut butter – but as Hemp is not a nut, is safe (and a yummy alternative) for people who have nut allergies. Shelled Hemp Seed can be used alone or in almost any recipe. In the form of shelled seeds (“hemp hearts”) it can be sprinkled onto cereal or added to a fruit smoothie to boost protein intake for breakfast. For lunch, hemp hearts are a tasty addition to a salad or can be tossed onto vegetables for added protein and healthy fats. For dinner place a handful of hemp seeds on top of pasta or stir fry. As a snack or dessert, mix in some hemp seeds with yogurt. Hemp Seed Oil can be used in baking and light cooking. However, hemp seed oil has a low flash point, which means it will start to smoke at fairly low temperatures. You should never cook with hemp seed oil as heat destroys the goodness in the oil. Therefore, it’s best to use hemp seed oil as a “finishing oil” which means that it should be consumed raw. Use as a salad dressing, either as vinegar and oil, or as a prepared dressing such as ranch. You can use hemp seed oil as a substitute for other fats, such as butter on a baked potato or rice. Some prefer to simply use hemp seed oil as a supplement – consume 1-2 Tablespoons per day as needed. Hemp Seed Oil is high in Essential Fatty Acids – and the Omega 6 and Omega 3 is in the optimal balanced ratio of 3:1 – making it the best vegetable based Omega supplement for long term use. Hemp Protein is generally available in four different varieties with varying levels of protein: 34%, 50%, 60% and 70%. Hemp protein is made from milling the seed cake into flour that is left over from pressing whole hemp seed into oil. Further processing of sifting out the fiber is performed to increase protein and decrease fiber content. 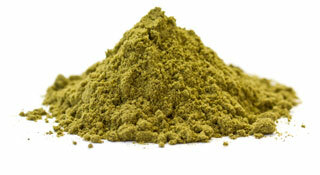 Hemp Protein contains all 20 Amino Acids. Including the 9 Essential Amino Acids. The 70% hemp protein is a concentrate which is water soluble. This means it will dissolve into water or other liquids. No matter which variety you choose, hemp protein is usually used as a source of protein in fruit smoothies. There are hundreds of ways to use hemp in almost all of your recipes — you can be creative and find new and innovative ways to include them in your diet. Add them to your family’s diet every day to enjoy the many health benefits of hemp.